A lily flower is arranged according to the bud or flower in each stem. They are also considered as one of the most beautiful buds. Gifting lilies means expressing your love and honesty for your loved ones. 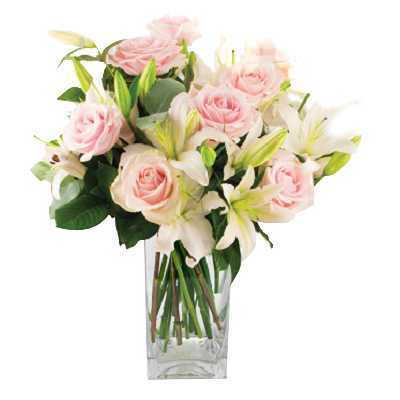 This ecstatic bouquet of 4 stem white Asiatic lilies and 12 lovely pink roses placed in a shining glass vase is the perfect gift.